The cemetery ordinance states that there will be NO PERMANENT PLANTING in the cemetery. Flowers should be placed in vases on the stones or in arrangements on top of the stones. Flowers left on the ground may be mowed off. Memorial Day flowers ON THE GROUND must be removed by July 1. SPRING CLEAN-UP will be April 15th. All arrangements on the ground, NOT removed by that date will be removed by the City. We will try to respect Easter flowers. If you wish to leave flowers on the ground, you may do so by TRIMMING AROUND THE STONE and at least 6 inches away from the flowers. This will enable the mowers to mow without damaging your flowers. Please do not leave flowers in glass vases or jars as the wind can blow them over and may result in breakage. This presents a hazard if the mower hits them or someone may get cut on the broken glass. The City of Monroe does not assume any responsibility of the loss or damage of any floral decorations or other memorials or their containers. Perpetual care shall include the cutting of grass at reasonable intervals, the cleaning of the grounds, and the pruning or removal of shrubs and trees that may be placed by the City of Monroe. The general care or perpetual care assumed by the City of Monroe shall in no case mean the maintenance, repair, or replacement of any monument erected upon lots. The monuments are the responsibility of the families. The City will not do any special or unusual work in the cemetery, including work caused by the impoverishment of the soil, nor does it mean the reconstruction of any marble or granite work on any section or lot, or portions thereof in the cemetery caused by the elements, an act of God, common enemy, thieves, vandals, or by accidents, whether the damage be direct or collateral other than herein provided. 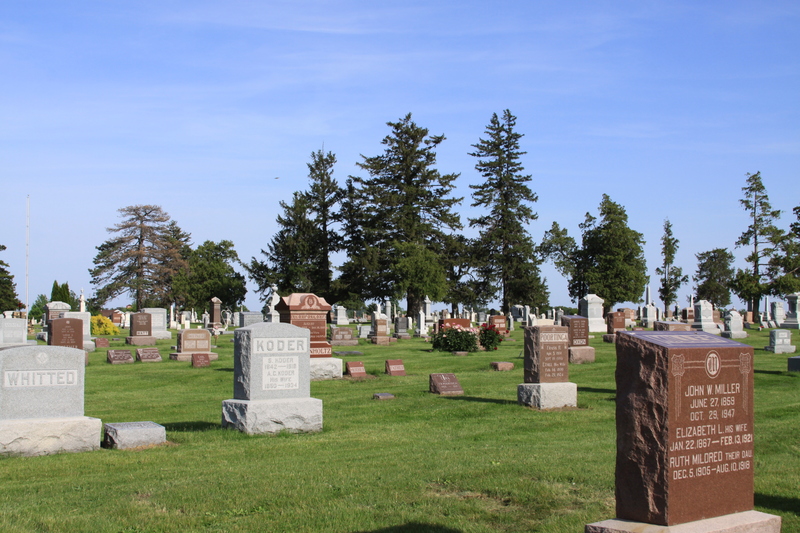 The City of Monroe may re-set large stones in the older portions of the cemetery as the money becomes available and the repairs are approved by the Council. If the monument is damaged or moved by the persons mowing the cemetery, the mowing contractors will be responsible. Due to increasing maintenance costs we must enforce these rules. We thank you for your cooperation. If you have any questions you may call City Hall at 259-2319 or send us a message via the Contact Us page. Each 4’x11′ plot sells for $125 with a Monroe address or $300 without a Monroe address. Any further questions call City Hall at 259-2319 or send us a message via the Contact Us page.